Day 47. Take What the Trail Gives You. December 19, 2015. 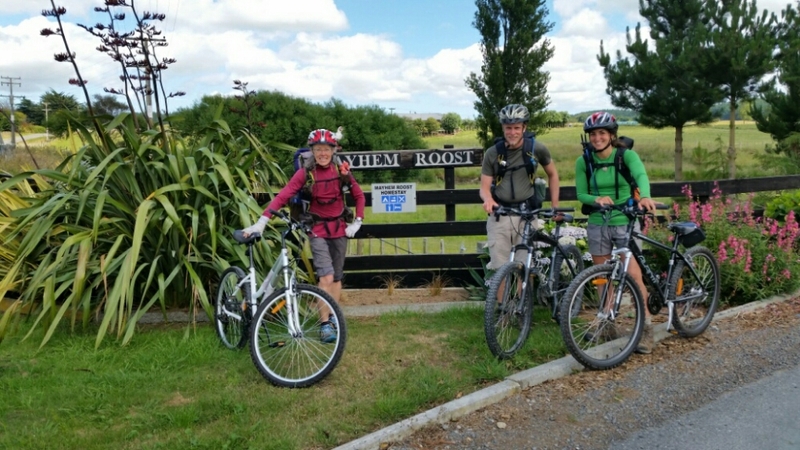 Today the trail gave us bikes! 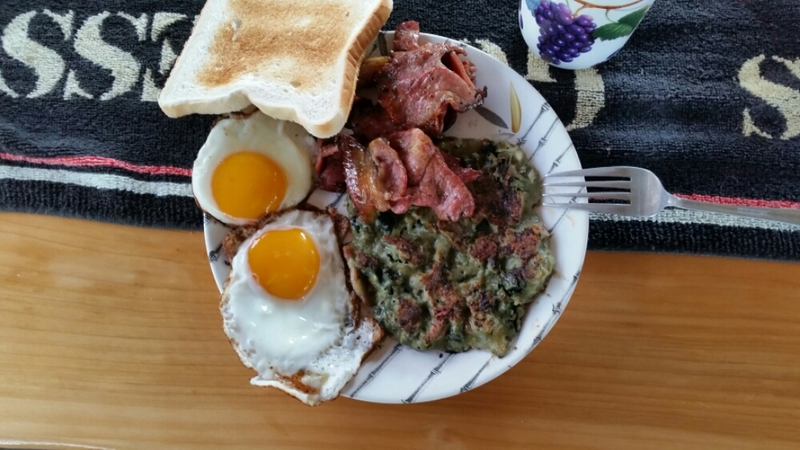 After a great breakfast of paua cakes (abalone, bacon, onion, eggs), bacon, eggs and toast we were off to finish the 14kms we skipped last night. Mike loaded up the bikes in his truck and Jo, Hannah and Conner joined us for the ride back to their house. Hannah said some great things while biking…. “I hate being inside. 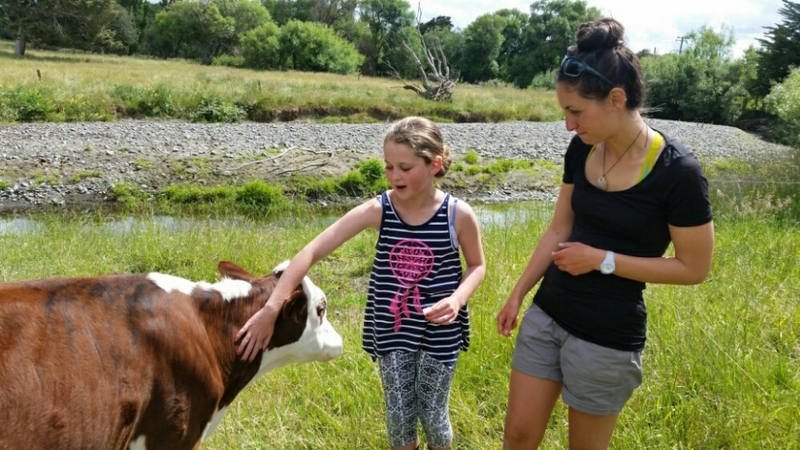 It’s like being in jail.” “We live like kings.” She is the proud owner of an award winning calf… Ruby now called Bear. She explained the difference between pet animals and meat animals. What a great kid! Conner led us all back home and knew exactly where all the ups and downs were. I’m disappointed that I didn’t get to meet Charley and Myley. I think they need to visit me in California. 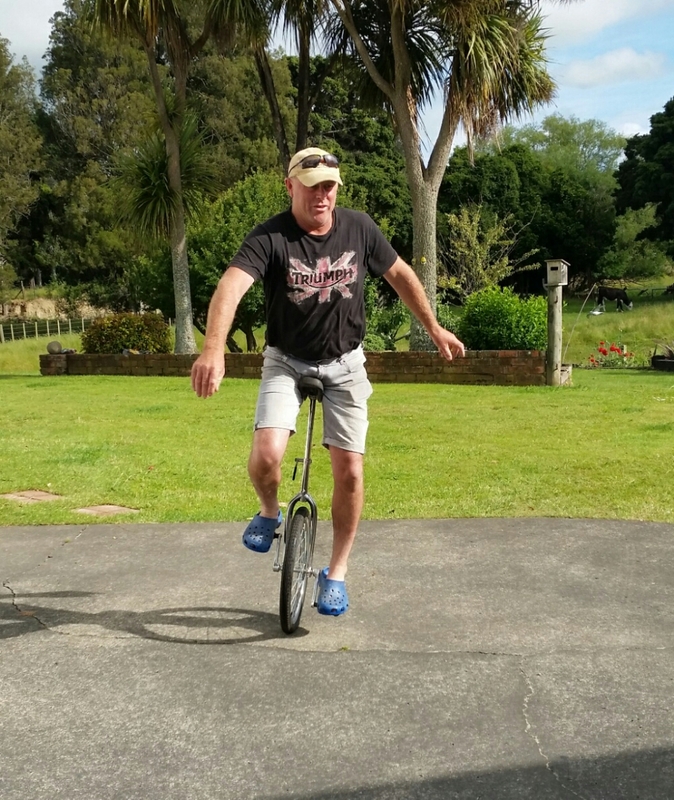 While eating more cake back at the house, Jo suggested that we take the bikes all the way to Feilding. How could we say no? What fun it was to zip by Nathan and Nils and Brett! 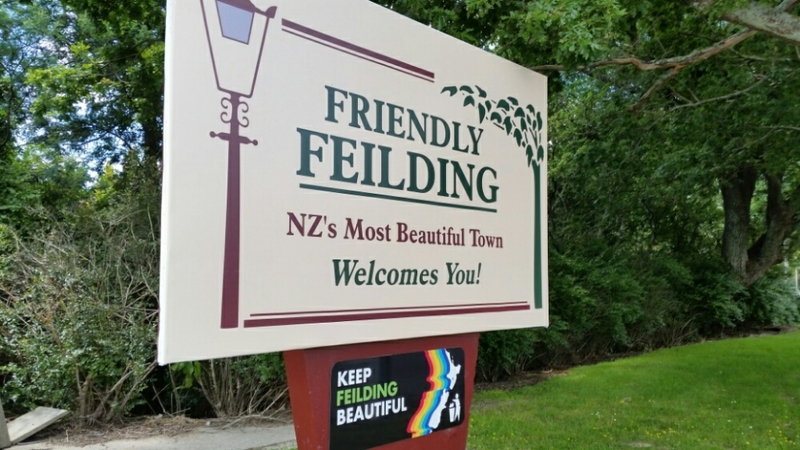 Feilding had a very cute downtown area. Of course the official TA bypasses it. The last bunch of kilometers into Palmerston North wasn’t into the city either but on a river walkway around the city center. It is a nice enough walkway but what do thruhikers want when we get to a city? Food. I also like to see the town. I wish there was a listed option of the best route THROUGH the city. Brett, Alex and I are all settled in a cabin at the Holiday park. Canoes and bikes is a heck of a hike! Ha,ha. He said no photos of him so I was a bit worried to post that one. Thanks again. Nancy, I love reading your stories! I’m so grateful that I was able to tag along for a tiny portion of your trek. You are a wonderful hiking mentor and inspiration to us “newbies”. I can’t wait to follow your adventures further south. More big scenery on the way! Say hi to the gang for me. I said hi to everyone. It was fun to have you join me. Sorry it wasn’t a better part of the trail. But it was memorable.